Before he embarked on his massive history of the novel, Steven Moore was best known as a tireless promoter of innovative fiction, mostly by way of hundreds of book reviews published from the late 1970s onward. Virtually all have been gathered for this collection, which offers a panoramic view of modern fiction, ranging from well-known authors like Barth and Pynchon to lesser-known but deserving ones, many published by small presses. Moore also reviews dozens of critical studies of this fiction, and takes some side trips into rock music and Buffy the Vampire Slayer. 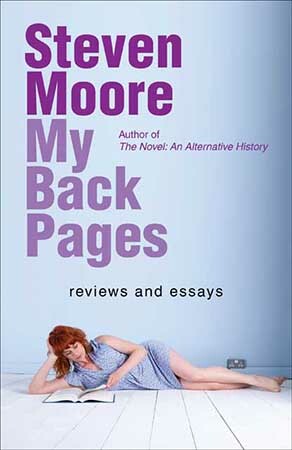 The second half of the book reprints Moore’s best essays. Several deal with novelist William Gaddis — on whom Moore is considered the leading authority — and other writers associated with him (Chandler Brossard, Alan Ansen, David Markson, Sheri Martinelli), all of which have been updated for this collection. Others champion such writers as Alexander Theroux, Brigid Brophy, Edward Dahlberg, Carole Maso, W. M. Spackman, and Rikki Ducornet. Two essays deal with the late David Foster Wallace, whom Moore knew, and others treat such matters as book reviewing, postmodernism, the Beat movement, maximalism, gay literature, punctuation, nympholepsy, and the history of the novel. STEVEN MOORE (PhD Rutgers, 1988) is the author/editor of several books on William Gaddis, as well as of The Novel: An Alternative History (2010, 2013). From 1988 to 1996 he was managing editor of the Review of Contemporary Fiction/Dalkey Archive Press. LATE in the week, a man wakes up in Guanajuato, Mexico, with his knowledge intact, but with no sense of who he is, or how he came to Guanajuato. EARLY in the week, a venture capital investor sits at his desk in Santa Monica, California, attempting to complete his business memoirs, but troubled by the fact that a recent deal appears to be some sort of money-laundering scheme. IN THE MIDDLE of the week, two gunmen for the Juárez Drug Cartel arrive at a small motel in El Paso, assigned to retrieve a suitcase full of currency, and eliminate the man who brought it to El Paso. 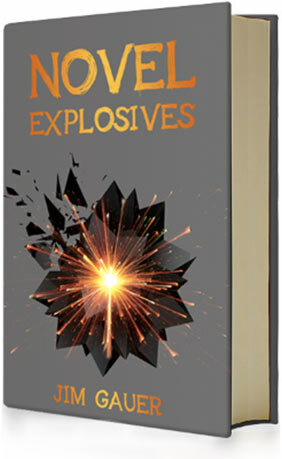 THUS BEGINS the three-stranded narrative of Novel Explosives, a search for identity that travels through the worlds of venture capital finance, high-tech money-laundering methods, and the Juárez drug wars, a joyride of a novel with only one catch: the deeper into the book you go, the more dangerous it gets. JIM GAUER is a mathematician, published poet, and possibly the world’s only Marxist Venture Capitalist. The text and images of this website are available for modification and reuse under the terms of the Creative Commons Attribution-Sharealike 3.0 Unported License and the GNU Free Documentation License (unversioned, with no invariant sections, front-cover texts, or back-cover texts).